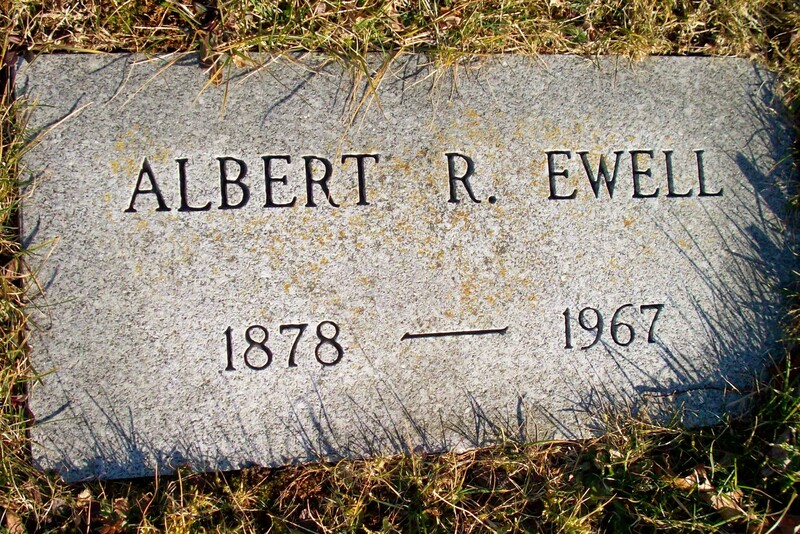 Died: March 11, 1967 in Pocasset Ma. at 89 yrs. 1. Elizabeth Wheeler Ewell Cotter; (May 1, 1906 – July 12, 1987); Married Edward J. Cotter, WW ll (1906 – 2001) (James Cotter & ?) in Maine on August 29, 1931; Elizabeth & Edward are buried in Golden Gate National Cemetery in San Bruno Ca..
2. Richard W. Ewell; (1907 – 1959); Richard is buried in Pocasset Cemetery. 3. 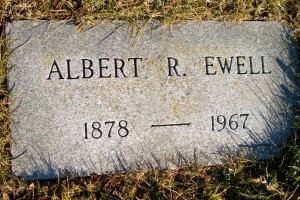 John Henry Ewell; (September 3, 1912 – December 1970); Married Ruth Arlene Paine (1916 – 2005) (Frank Elmer Paine & Elva Jane Ryan) on September 9, 1939; John & Arlene are buried in Pocasset Cemetery.